Karkonosze are covered with the densest network of hiking trails in all of Sudetes. There are several hundred kilometers of them, not counting bike paths and ski trails. The trails in the Jizera Mountains intersect the most interesting regions, leading primarily to the major attractions. The basic sign marking tourist trails is usually a rectangular sign measuring 15x9cm, painted with oil paint in visible points. It consists of three horizontal stripes: two white outer stripes and the middle one in the color of the trail. 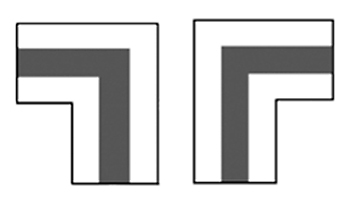 Depending on the color of the middle stripe, we may encounter the following routes: 1) red, 2) blue, 3) green, 4) yellow; 5) black. NOTE: The color does not describe its difficulty or length. It is assumed that the red sign marks the main trail, whereas black marks the so-called connecting trails.